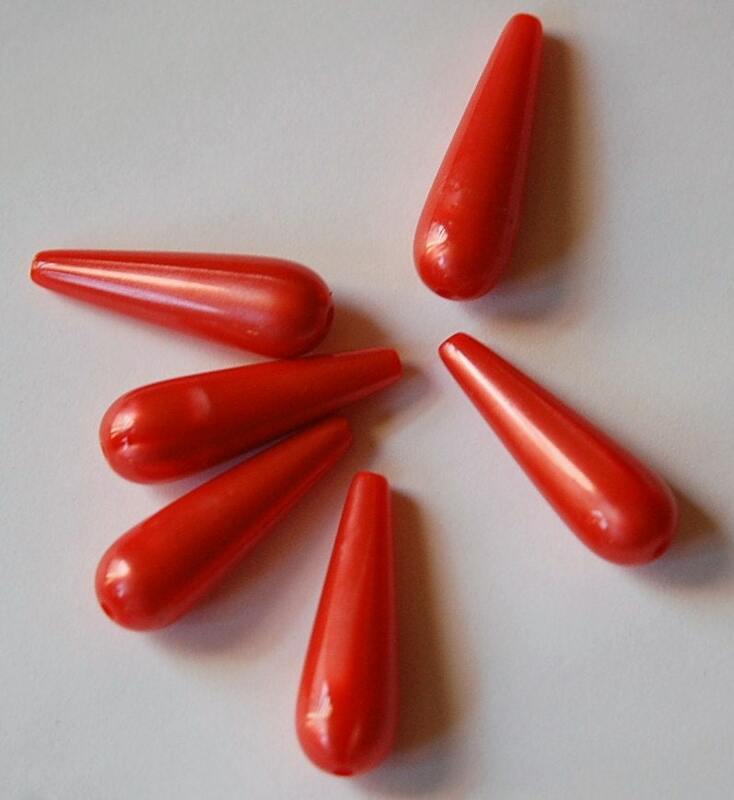 These are vintage acrylic teardrop beads. 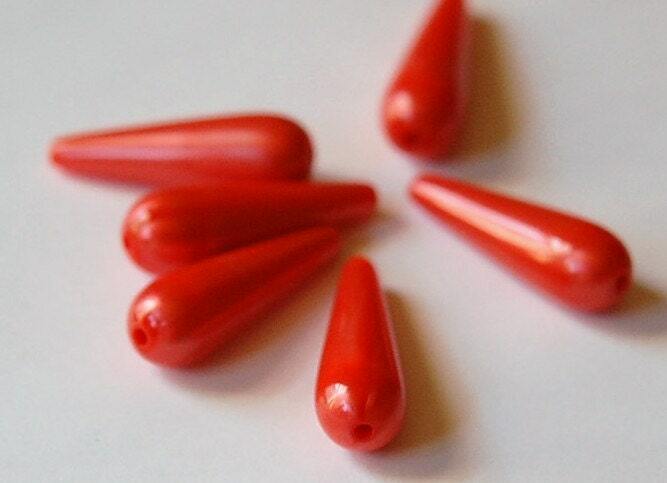 They are a metallic orange color and resemble moonglow beads. You can see a seam on these beads but it is smooth to the touch. These measure 29mm long X 8mm wide. You will receive 6 pieces. I have these in other colors and a smaller size too.